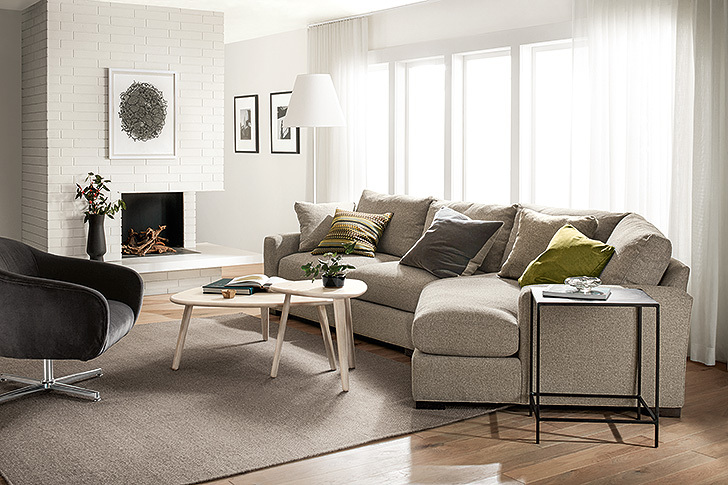 Shopping for sofas doesn’t have to be overwhelming. We keep three things in mind when looking for our own perfect sofa or sectional: comfort, style and scale. Get our sofa shopping tips below and see what four Room & Board staff members said about their own shopping experiences. Sink-in feel or a more supportive sit? Answering this first question will let you know what kind of sofa comfort or cushion you’re looking for. Next, think about seat height and depth. Shallow seats offer an upright feel and keep shorter legs from dangling, while deep seats allow you to lean back at an angle and tuck your legs onto the sofa for an all-night movie sesh. Sofas with higher seats are easier to get in and out of, and low seats invite you to stretch your legs out and lean back. Easily find your perfect combo of seat comfort + seat depth + seat height with our helpful Sofa Comfort Guide. The type of fabric or leather will also play into overall comfort. Fabrics with natural fibers like cotton, linen and flax are breathable, feel great and get softer with use. Similarly, go natural with leather for a timeless look and soft, buttery feel. Our quality top-grain, aniline-dyed leathers get softer as time goes on, just like your favorite leather jacket or baseball glove. Your sofa will help set the tone of a room, so think about how you use the space and choose a style that complements your taste. 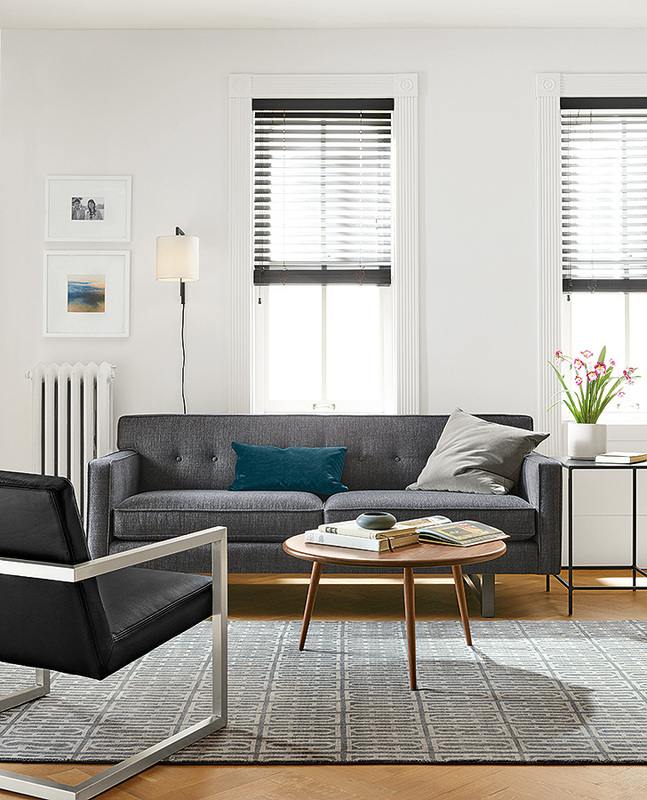 No matter if you’re drawn to the low-profile look of mid-century styles or the inviting appeal of a sprawling sectional, every Room & Board sofa is designed to be timeless, not trendy, so you can feel good knowing it will have a place in your home for years to come. Think about the size of your room and the other types of furniture within it to help decide which size sofa to buy. Typically we recommend sofas 75 inches wide (or less) for smaller spaces and a larger sectional for rooms with more square footage. 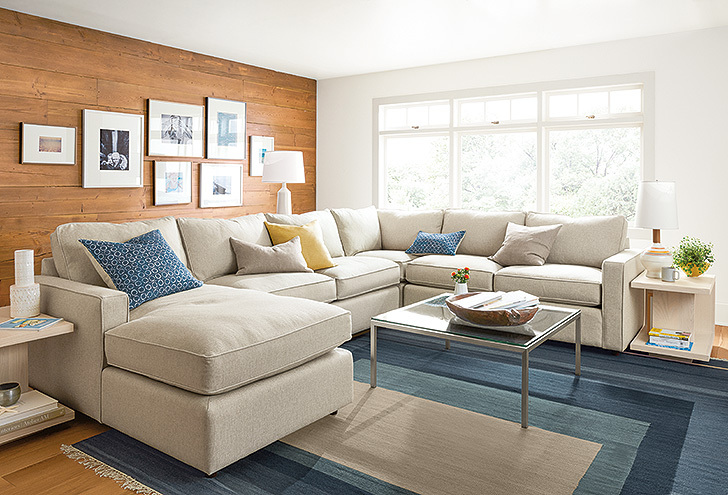 Measuring your space before making your final sofa decision will help ensure it’s the right fit.